Registered Agent Solutions, Inc. (RASi) recently launched a new and improved website, http://www.rasi.com, that includes an innovative web-based application, which offers an extensive set of tools and resources to their clients. The New Registered Agent Solutions Logo, was created by the envision creative group of Austin TX. The design and launch of the new website is yet another testimony to the strength of the RASi Team and the depth of service that we offer. While the registered agent industry isn’t a normal conversation piece, its role in the business world is priceless. That’s why Registered Agent Solutions, Inc. (RASi) recently launched a new and improved website that includes an innovative web-based application, which offers an extensive set of tools and resources to their clients. The most popular and comprehensive tools include the Entity Manager and the Compliance Task Calendar, which contain features for which competitors often charge a premium. The Entity Manager application is an all-in-one online resource designed to facilitate the ongoing task of corporate maintenance and to simplify corporate recordkeeping. Important features of this application include maintaining Officer & Director information, Entity Agency Registrations, Legal and Assumed Name management, Organizational Charting, Stock recordkeeping, Business License & Permit maintenance, and online Document Management and Storage. The Compliance Task Calendar is designed to save companies time and money by providing a single source for managing annual reports and other important compliance tasks. This tool is extremely beneficial, especially for corporations that manage multiple entities and/or multi-state agency registrations, since states have varying due dates and requirements. Clients may add an unlimited number of custom task events to the calendar at no cost. Email reminders may be set to ensure that deadlines are not missed and penalties are not incurred. This application helps clients maintain good standing and safeguard their corporate veil. This site was built to provide clients with a one-stop resource that is both easily accessible and user friendly. With features that simplify the task of corporate maintenance while minimizing the time and money spent on corporate maintenance, clients may focus on what matters the most—their business. With a nationwide presence and cutting-edge technologies, RASi has stepped forward as the new way to do business. About Registered Agent Solutions, Inc.
As a professional registered agent service company, RASi provides the best value for corporate and registered agent services through innovative technologies, competitive pricing and quality services. Our highly experienced staff can assist you with corporate filings, document retrievals, registered agent services, public records searches, business licensing as well as entity management and corporate compliance. With offices in all 50 States, DC and international jurisdictions, RASi represents thousands of companies across the nation. 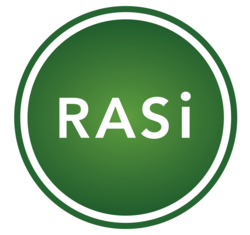 For information about our company, visit http://www.rasi.com.